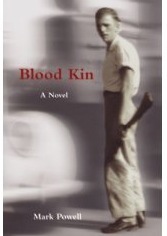 I just finished rereading this second novel by South Carolina novelist, Mark Powell. I read it when it first came out last year, after it won the Peter Taylor prize, but I’ve been rereading it slowly because Powell is good at things I’m trying to do with my thesis: a) it’s set in South Carolina, and makes good use of setting, and b) he’s a very patient writer, and gives his characters and images room to breathe on the page. The novel tells the story of the Burden family around 1970. The eldest son, James, has just returned from Korea after drifting around the country for twenty years. He’s addicted to morphine and unable to reconnect with his wife and family. The middle son, Roy, is having an affair with a debutante scheduled to marry a Navyman. The youngest son, Ennis, is trying to marry the debutante’s younger sister and deal with his family history. This family is well-drawn and memorable, but what really strikes me about the book this time through is the cast of secondary characters: an orchard keeper, a teenage hooligan, a traveling preacher/conman, a weary sheriff, a firetalker, and Old Man Joseph Cory, who tries to fake his daughter’s death after she runs off with off with a woman. Powell delivers haunting lines of grace and wisdom and loss. For instance, of the eldest son, he writes, “That lodestone–what it is to be human–he had lost it somewhere that day south of Chosin [in the Korean War].” The mother ruminates, “She lived an entire lifetime with James, she felt. Something she would never be able to wholly repeat: she had been so young then, and never again would she be able to love like that, so reckless with her affection. Her love for Roy and Ennis was just as deep, just as real, but never again had she imagined love tumbling physically from her breast.” The father, too, has similar conclusions: “You love recklessly only once. That, Will thought, is the great tragedy of this life.